Starburst: icons of Chinese cinema, the latest free film series at the Art Gallery of New South Wales, celebrates the extraordinary careers of four trailblazing Chinese actresses from the early 20th century to today. Starburst features the best of Shanghai silent cinema, golden age Hollywood, the Hong Kong New Wave and recent masterpieces from mainland China. Curated by Art Gallery of NSW assistant curator of film, Ruby Arrowsmith-Todd, the new film series commences by showcasing the career highlights of two 1930s screen icons, Ruan Lingyu and Anna May Wong. On the opening weekend (24 June, 2pm), Lingyu’s brilliant performance in the silent classic The Goddess will be accompanied by a newly-commissioned live score by Hong Kong-born, Sydney-based musician and artist, Chun Yin Rainbow Chan. “In 1930s Shanghai, Ruan Lingyu was the original screen ‘goddess.’ Her tragic suicide at the age of 24 was described by the New York Times as the ‘funeral of the century,’” Arrowsmith-Todd said. Live musical accompaniment will also accompany all three screenings of E.A. Dupont’s lavish art-deco noir Piccadilly starring Anna May Wong. “L.A-born Wong was Hollywood’s first Chinese-American film star. Making the transition from silent films to talkies, she toured Australia in 1939 and was an outspoken critic of the limited roles available to actresses of colour,” Arrowsmith-Todd said. 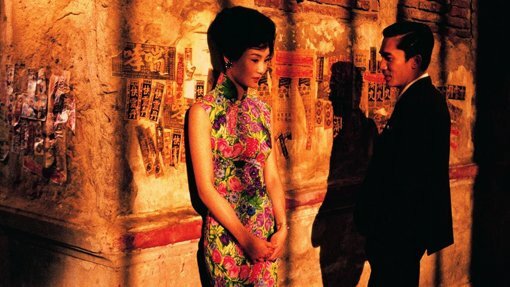 Starburst continues with films featuring two contemporary Chinese superstars: Hong Kong actress Maggie Cheung and Zhao Tao, muse of mainland China’s most acclaimed director, Jia Zhangke. “Compared to their predecessors, both Cheung and Zhao represent a new kind of transnational stardom which moves between national borders, hybrid genres, and richly nuanced roles,” Arrowsmith-Todd said. Other highlights include Zhao’s role as a theme-park dancer in the surrealist drama The World; Cheung’s unforgettable performance as a latex-clad cat-woman in Olivier Assasyas’ Irma Vep, and her portrayal of Ruan Lingyu in Stanley Kwan’s biopic, Center Stage. The opening weekend free live performance by acclaimed Sydney musician Chun Yin Rainbow Chan launches an unmissable season. Starburst includes rare 35mm prints from national and international archives.